currents and a new adventure. eating: just polished off a sesame bagel. drinking: peach italian soda with cream. wearing: maternity jeans, black tee. too tired to make an actual effort to look stylish. feeling: unmotivated. i'll kick into gear in about an hour or two. wanting: a refill on my delicious soda. can't get enough icy cold beverages. needing: to fill you all in on my exciting news. thinking: i don't know what i'm thinking really. i'm just trying to keep my eyes open. enjoying: the thought of eating my way through the upcoming state fair. wondering: if I'm too old to wear jeggings. and now for my exciting news and new adventure. yep. 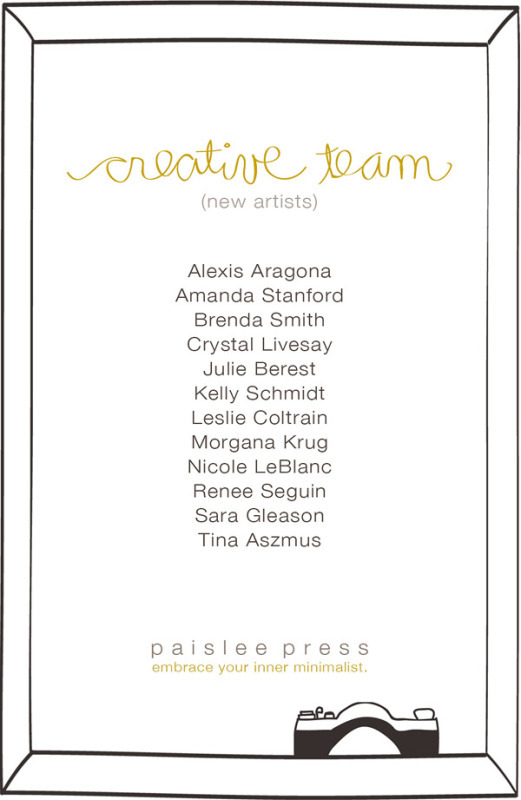 I made the Paislee Press design team! I know what the majority of you are thinking....digital? So, yeah....that's my exciting news. I'm curious to know how you all feel about digital. Is it something you're interested in or not at all. I know there are some devout hands on paper people and some who are digital all the way. FIll me in on your thoughts. PS...I have not forgotten about August Break. I will post my photos later this week.